Many iPhone users with a 3D Touch display use the feature sporadically, if at all, often because it’s a bit of a guessing game as to what actions are available with the activation of the push and pop abilities. 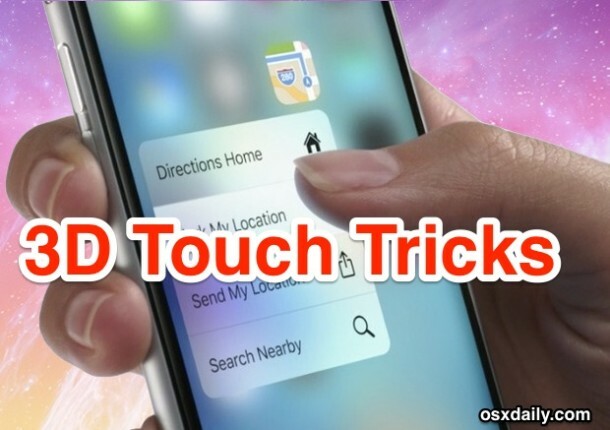 While 3D Touch may seem a bit gimmicky at times, there are some legitimately useful cases for 3D Touch where it has the potential to enhance workflow for iPhone users, and so with that in mind we’re going to run through some of the best uses of the feature. Obviously this requires a 3D Touch equipped iPhone. The 3D Touch feature must be enabled, and for many users, accessing the ability can be improved upon by adjusting the sensitivity of their screen touch pressure. Since prolonging battery life remains of primary importance to many iPhone users, the ability to quickly turn on and off Low Power Mode is essential. From the unlocked iPhone screen, 3D Touch press on the “Settings” icon and select “Battery”, from here users can flip the switch for “Low Power Mode” to the ON (or OFF) position as usual, or access other battery settings and details. You can 3D touch any link on iOS to get a preview pane of the URL in question, without having to load the entire thing. This is particularly useful for scanning blankly referenced links that are sent to you in messages or emails to see if they’re worth visiting or not, but the feature works nearly anywhere that links are visible and clickable. Private browsing mode in Safari for iOS is a great feature, but rather than open the app and then toggle into the privacy mode, you can use 3D Touch for quicker access. 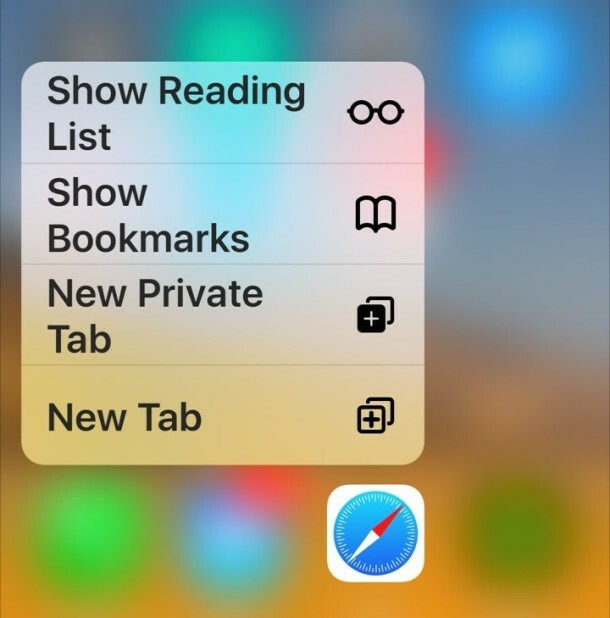 All you need to do is 3D Touch on the Safari icon and choose “New Private Tab”, and away you go. No cookies, history, caches, or other data is stored on the device when in privacy mode – perfect for when you’re shopping for someone, reading spoilers to Game of Thrones, or just reading embarrassing content that you’d rather not someone else discover. Most iPhone users have their Camera app open directly to the default photo camera, and though the app remembers the last camera option you used, it’s pretty nice to be able to jump to the feature you want to access with 3D Touch. 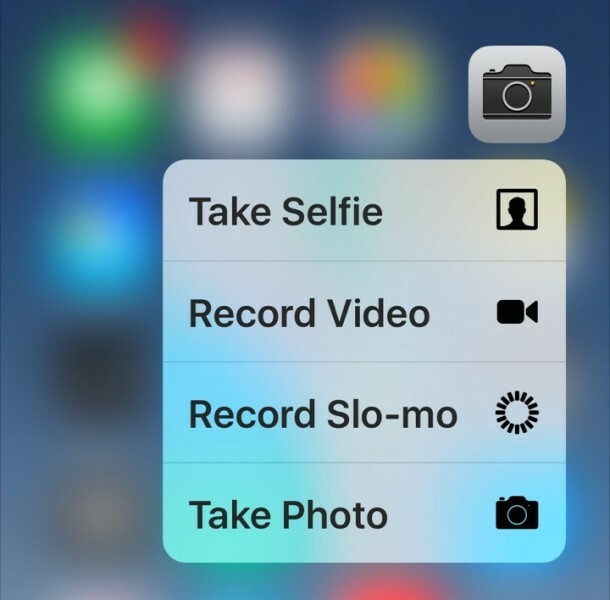 Just 3D Touch on the Camera icon and select what you want to do; take a selfie, record a regular video, capture slow motion video, or, just take a picture as usual. Since iOS Messages app has yet to provide us with contact specific Read Receipts, one option to scan a message without sending one is to 3d touch the message to preview it, which will not send a “Read” indicator to the sender. This is really useful if you use the Read Receipts feature but don’t necessarily want to engage in a conversation with someone. 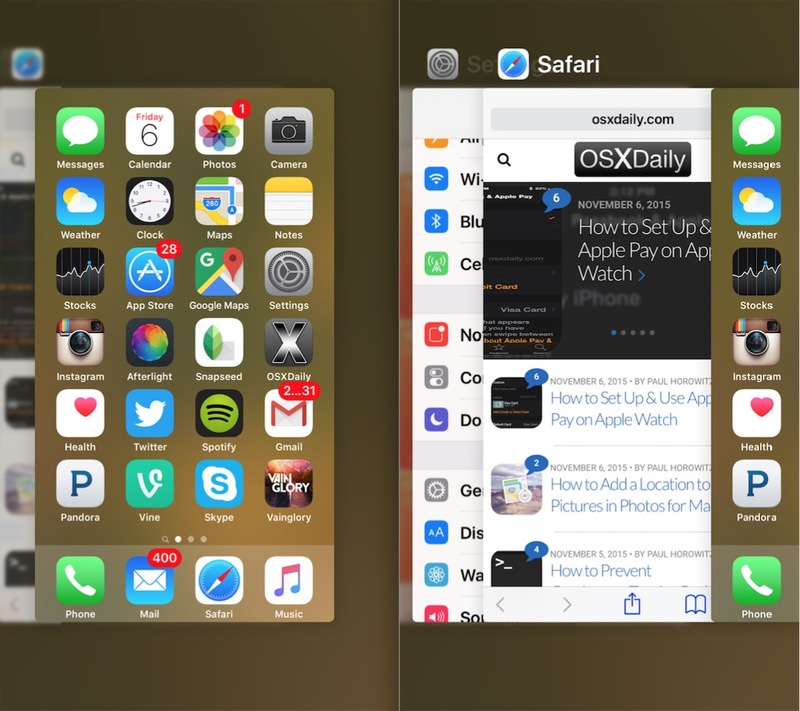 Using a sort-of-challenging-to-master 3D Touch press on the far left side of iPhone display will gain quick 3D touch access to the multitasking app switcher in iOS. Whether this is faster than simply double-tapping the Home button is a matter of how well you can access this feature, but it is handy and feels reasonably intuitive once you get the hang of it. 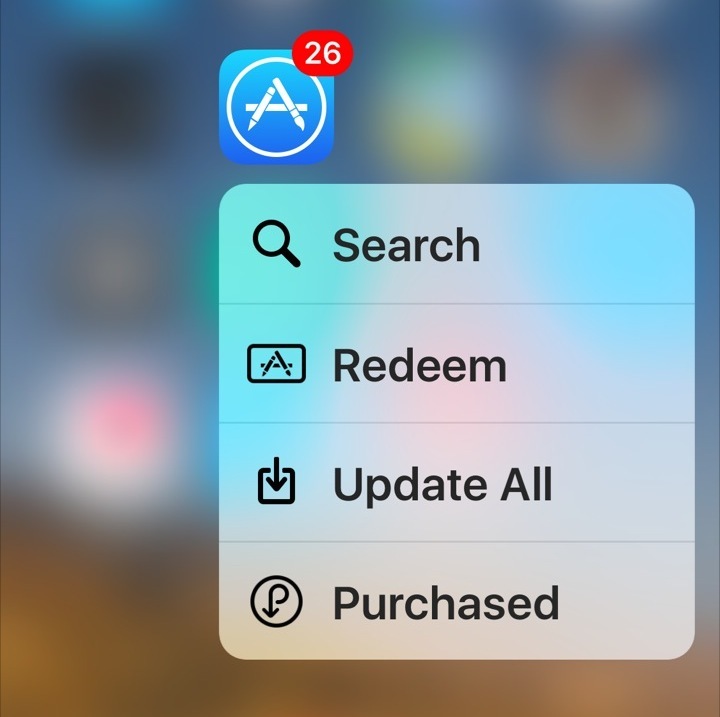 Using 3D Touch on the App Store icon allows you quick access to the “Redeem” feature, where users can quickly scan a gift card to add it to their iTunes account. This is particularly great because accessing Redeem otherwise requires a bit of digging around in the App Store app. Another great 3D Touch trick on the App Store icon? 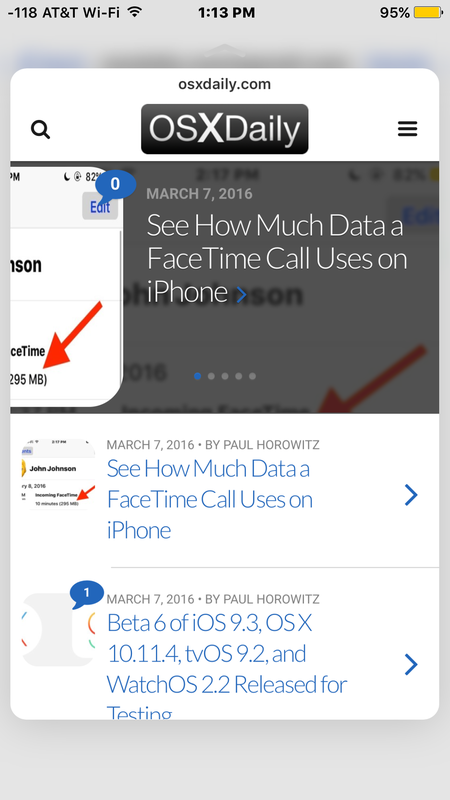 The ability to quickly update all apps in iOS that have changes available. 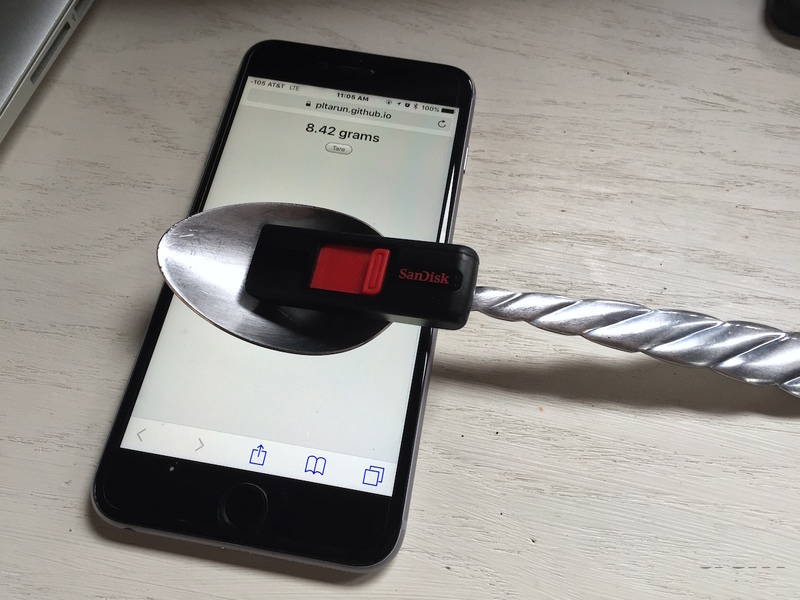 Thanks to a simple web app, you can turn the iPhone into a scale that is able to weigh things in grams. Seriously! This isn’t particularly useful for most people, unless you spend a lot of time in the kitchen or uh, elsewhere, but it’s a neat demonstration of what the 3D Touch display can do, and how sensitive the display truly is. 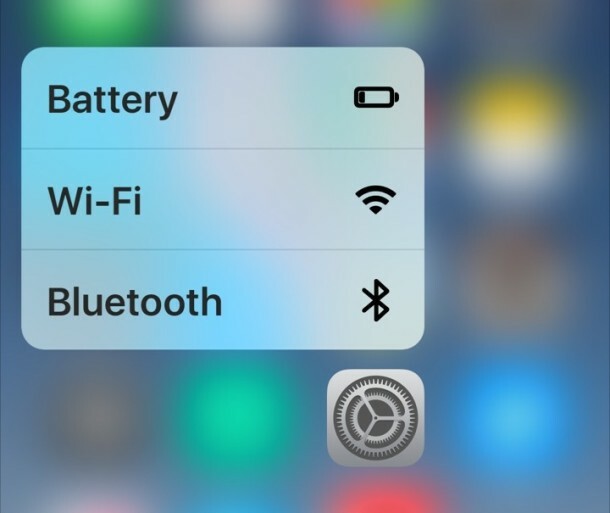 Know of any other particularly handy uses of 3D Touch for iPhone? Share them with us, or just let us know your thoughts on the matter in the comments below. My favorite is the ability to 3D touch the keyboard while typing and move the cursor around…much more accurate than the normal method of placing your finger over the word…. That is a great one indeed, overlooked! Yes, it is the best one. I find 3D Touch to be a gimmick. I do not find it to be useful as a feature, a long press would achieve the same effect. A lot of engineering dollars went into a gimmick. That engineering effort would be better spent on stability and performance. I also think this whole GUI is a gimmick. Everything was a WHOLE lot easier with command line code. Just memorize a few thousand commands and BOOM – EASY! I find the 3D Touch gets me to interact with applications a lot more now than before. Especially in Siri Suggestions or in actual applications like Netflix and Clash Royale. That’s just me though. I thought it was a gimmick until I upgraded to the 6s. While I don’t use it all the time, that’s just because my 6s is new and I haven’t gotten used to the feature. In time I expect that won’t be the case.